Who thought friend codes was a good idea? Show of hands? Nobody? Yeah, we thought so. 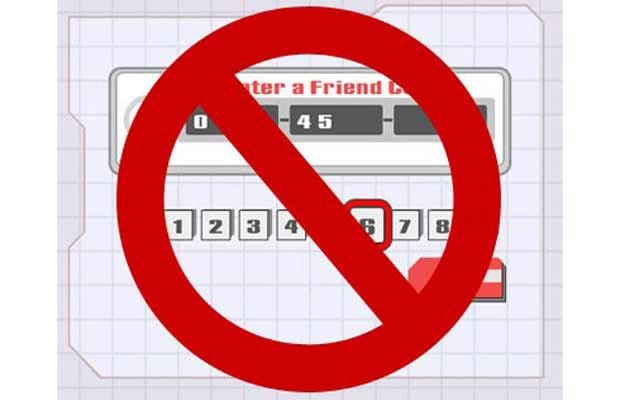 The Wii's friend code system for online gaming sucked huge donkey cojones. These 12-digit nightmares were different for every game you bought, so you had to find the same friend you played in Super Smash Bros. Brawl for Tatsunoko vs. Capcom. It was a headache-inducing process that we don't wanna see at all for the next console. Finish what the 3DS started and get rid of the codes altogether—just replace them with player names and icons like the other consoles do. We're tired of gettin' them digits!